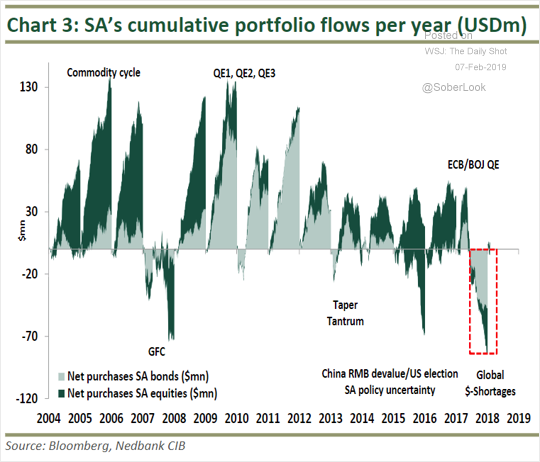 Emerging Markets: Investors pulled quite a bit of capital out of South Africa last year. 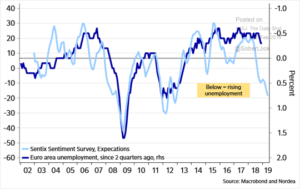 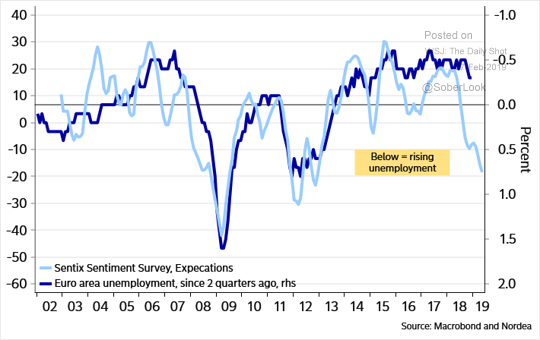 The Eurozone: Has the Eurozone’s unemployment rate bottomed? 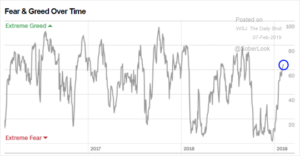 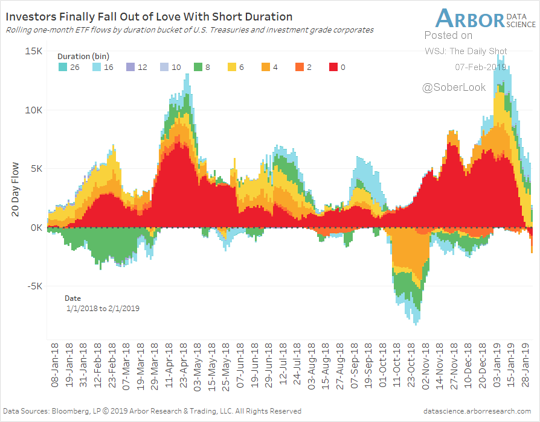 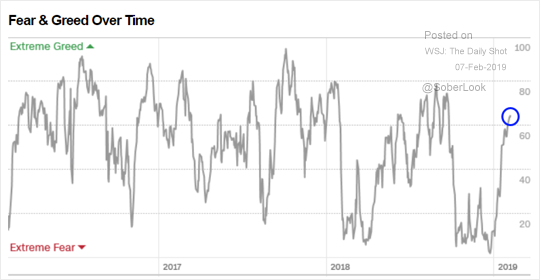 Equities: The Fear & Greed index is rapidly pushing into “greed territory” as investors move out of cash (second chart). 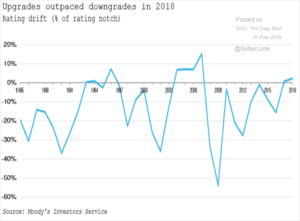 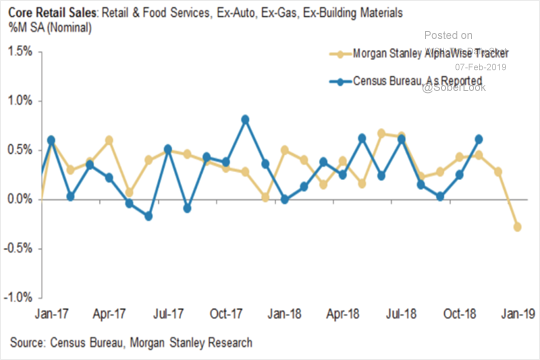 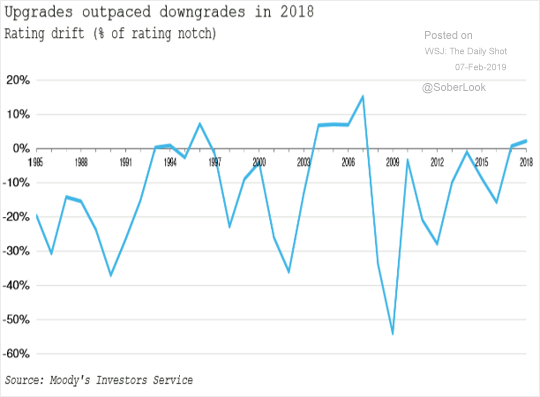 Credit: Credit rating upgrades outpaced downgrades in 2018. 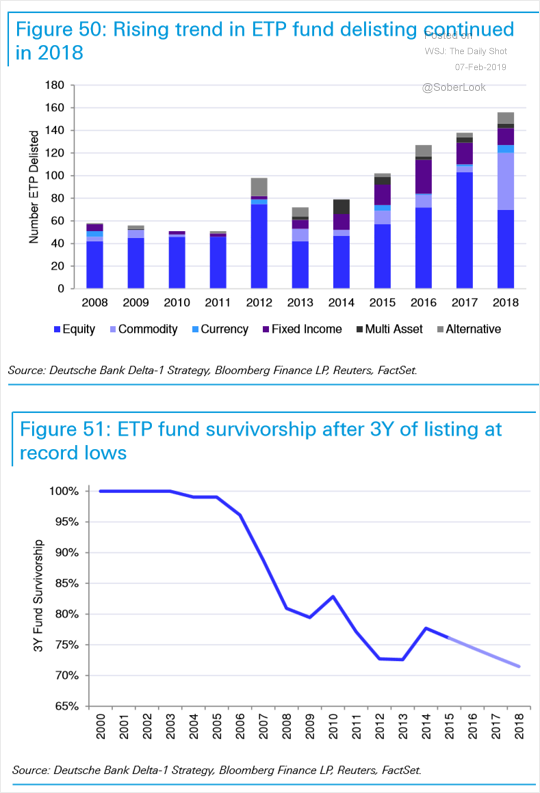 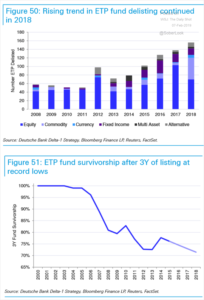 Global Developments: More ETFs are getting delisted (globally).